At the Bristol Back Pain Clinic, our chiropractors and osteopaths are experts in assessing, diagnosing and treating back pain. Most of us have experienced back pain in one form or another - for some it can be acute, severe and immediately incapacitating, while for others it can be less painful yet persistent, recurring and, as a result, equally debilitating. Back pain can be felt in one or both sides of the back, spread up between the shoulder blades or start low and spread down into the buttocks or the front or back of the legs. It can come on as a result of a specific activity, for example, lifting a heavy object awkwardly, or more gradually as a result of poor posture or the sedentary, repetitive strain of sitting for long periods, whether at a desk, in a car or while feeding your baby. Back pain is the second most common reason for visiting a GP, and as our name suggests is one of the most common problems we help our patients with at the clinic. The majority of people suffering with back pain experience what is known as 'mechanical' back pain. This type of back pain can involve the muscles, joints and ligaments and is not caused by any serious underlying condition, more as a result of bad posture, sitting at a desk all day, or even due to tense muscles caused by emotional stress. Back pain can also be caused by wear and tear as we get older and the discs in our backs deteriorate with age. This type of back pain is characterised by stiffness, pain and difficulty moving. Pain that has been going on for 3 or more months is termed chronic and it becomes more difficult to resolve the longer you leave it. Early treatment of back pain will help you get better faster and​​​​​​ NICE (GP guidelines) recommend a course of manual therapy including spinal manipulation, mobilisation or soft tissue techniques such as massage as part of a treatment package to manage lower back pain and sciatica. Harry Kauntze, chiropractor at the Bristol Back Pain Clinic explains how we can help: "We are experienced in finding the cause of back pain and treating it effectively with a range of techniques designed to provide pain relief and restore normal function. 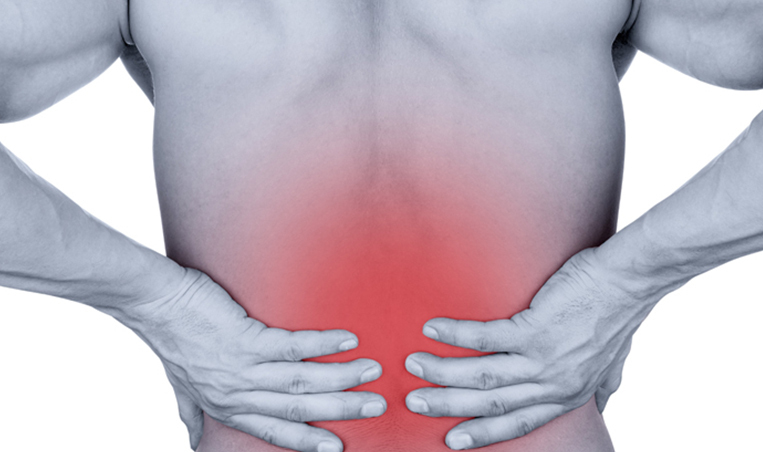 Osteopathic and chiropractic treatment for back pain include joint mobilisations or adjustments, stretching and massage techniques, nutritional advice, relaxation techniques, home stretches and exercises. If required we can also order MRI and Xrays to assist diagnosis." For more information on what to expect when you visit a chiropractor or osteopath at The Bristol Back Pain Clinic, click here. For details of fees, click here.